Tampa Steel and Supply offers steel in surplus or less-than-prime. These metals are often left in the outside and have rust on them. Many of our valued customers can use these less-than-prime materials and we offer a restorative solution. 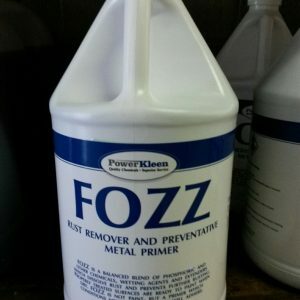 Power Kleen FOZZ Rust remover is just what any fabricator needs. Don’t see what you are looking for click here and our dedicated web team will assist you further.